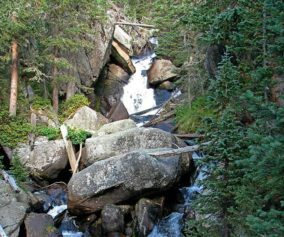 A twenty foot waterfall hidden away in the northern reaches of Rocky Mountain National Park, Bridal Veil Falls makes for a great destination hike. 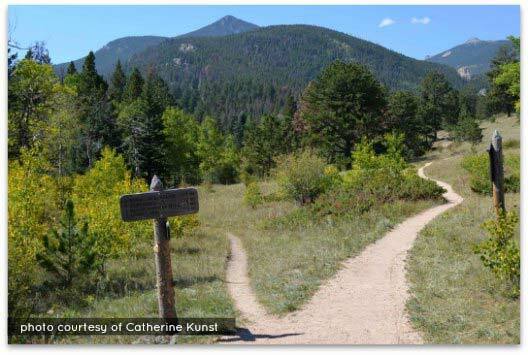 Keep your eyes out for Elk in the meadows along this hiking trail in Colorado’s favorite National Park. 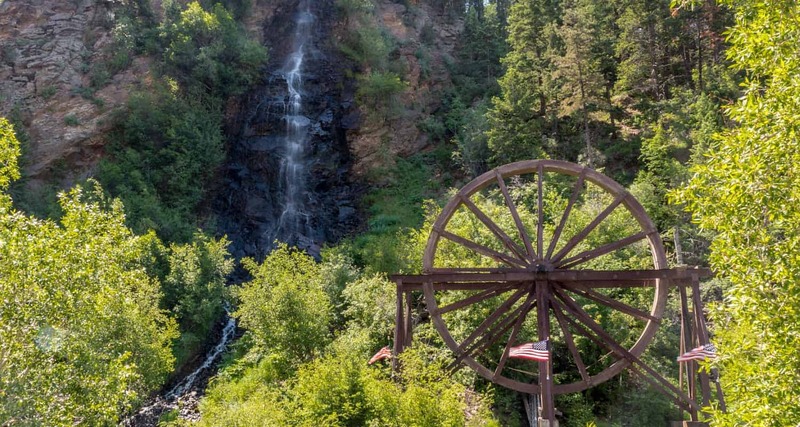 Get the hike information you need with our hiking snapshot for Bridal Veil Falls, and get more details by exploring the details and tips below. 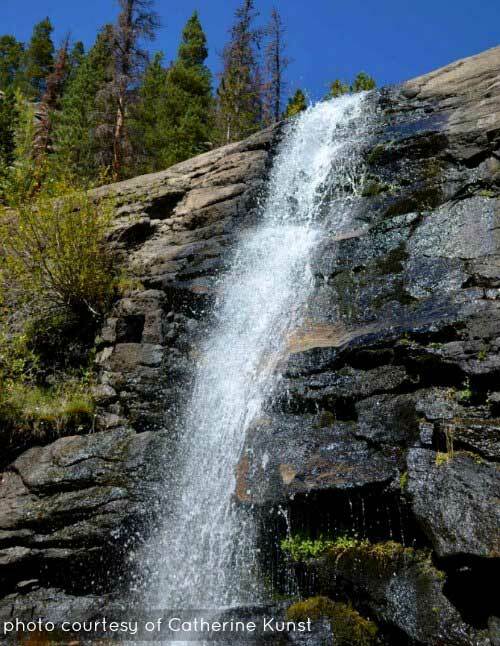 Bridal Veil Falls is a gem tucked away in the northern reaches of Rocky Mountain National Park. 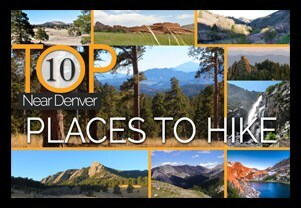 This hike is about 1hr 45 minutes from the Denver area and features expansive meadows, wildflowers, forest, and a little bit of a rock scramble. 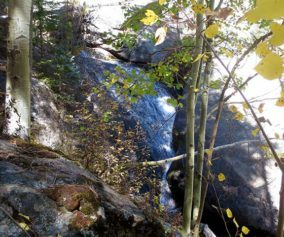 Bridal Veil Falls launches from a rock slab at a diagonal, making it a beautiful site. Most visitors to the National Park go to the center of the park, so you may find yourself alone on the trail on a weekday. I wouldn’t expect that on the weekend though. Like most areas in the park, the wildlife is abundant. We often joke, calling it the zoo. Elk and deer, as well as eagles and other raptors can be seen along Cow Creek trail. 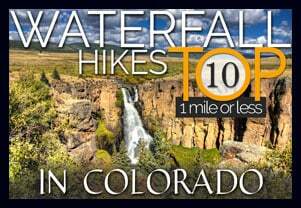 The trail to Bridal Veil Falls begins at the Cow Creek Trailhead. 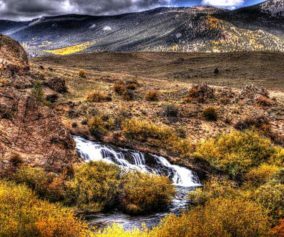 You’ll pass through meadows and see the cascades along Cow Creek. Eventually, you’ll hike up in the forest, getting a bit of a break from the sun. 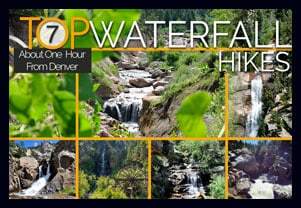 Before the waterfall, you’ll encounter some rocks to hike and scramble over, making this a more moderate hike. Thanks to Catherine Kunst for the photos on this profile. You can read Catherine’s trip report at her site here. 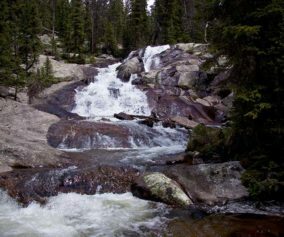 A Great View: Cross the stream then work your way up the area just left of the falls to the stream above. It’s beautiful above the falls, just take care not to turn it into a rock climb. Remember that Water + Rock = Slippery. Parking is a Limited: It’s just a small area along the road near the ranch. You’ll need to parallel park. Also, get their early for a space. Not Much Shade: Bring the sunscreen. You’ll be in the sun a lot along Cow Creek Trail. This was one of the most beautiful trails I’ve been on, and thanks to extremely limited parking (space for less than 20 vehicles), the trail is fairly quiet/private. We arrived around 10:30 am on a Saturday and had to wait about 20 minutes for a parking spot to open up. There was a ranger giving out tickets to those who didn’t follow the parallel oarking guidlines strictly. Definitely wear sunscreen, the meadows are quite full of UV rays. The trail to get above the waterfall is a bit hidden, but worth hunting down and climbing because the views are remarkable. We didn’t see any deer or elk on this trip, but I plan to hike it again soon to try again. After the September 2013 flooding, these trails are destroyed. Most of the trails are split in half by 3-7 foot trenches due to erosion from the floods. Made the hike much more difficult, but was still beautiful. The bridge to the parking lot is completely gone, they are rebuilding it so there is absolutely no where to park due to construction. I would wait until mid November to go back. We did see a pack of elk too, which was awesome!